Dimensions 1.69 by 8 by 9 in. 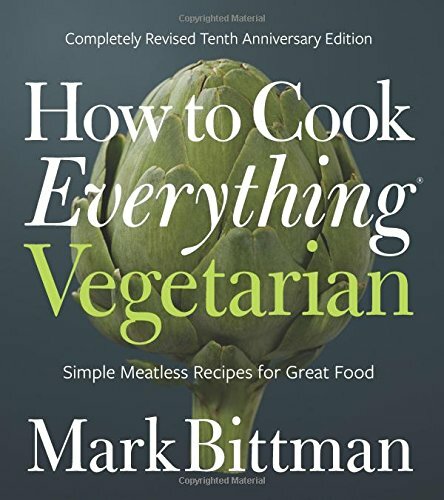 Ten years ago, this breakthrough cookbook made vegetarian cooking accessible to everyone. Today, the issues surrounding a plant-based dietâhealth, sustainability, and ethicsâcontinue to resonate with more and more Americans, whether or not theyâre fully vegetarian. This new edition has been completely reviewed and revised to stay relevant to todayâs cooks: New recipes include more vegan options and a brand-new chapter on smoothies, teas, and more. Charts, variations, and other key information have been updated. And, new for this edition, the recipes are showcased in bright full-color photos throughout. With these photos and a host of recipes destined to become new favorites, this already classic vegetarian cookbook will continue to be more indispensable than ever.